Advanced data analytics tools can help businesses uncover business-critical insights and gain a competitive edge. According to Gartner, “By 2018 50% of agent interactions will be influenced by real-time analytics.” As customer experience analytics matures, it is becoming increasingly predictive and focused on personalization. A sophisticated data analytics tool can make predictions, or generate recommendations based on information gathered, thus giving contact center agents and bots more background and context on each individual customer they are servicing. In addition, analytics plays a significant role in increasing productivity. As one case in point, speech analytics can detect non-value adds, such as long conversational pauses or points in the conversation when the customer has to repeat responses. 3. Smartphone video camera support changes the game for customer support. Gone are the days of customers struggling to explain technical product issues to an agent by phone. With smartphone video camera support, 3-4 minutes of triage can be accomplished in seconds. By texting customers a simple link, brands can now activate the video camera on a customer’s mobile device to see what they are looking at. It’s that simple. Smartphone video camera support, in combination with messaging or voice support, can accelerate time-to-resolution while boosting customer satisfaction. If customers are uncomfortable leveraging video, the alternative option is to send a simple picture via SMS so that companies are able to get a better view and understanding of a product issue and communicate more effectively with customers—for example, annotating photos to indicate product issues. Real outcomes are cost-containment, better average handle time (AHT), lower product return rates, and improved CSAT. 4. Emojis make digital conversations measurably more emotional and expressive. As digital conversations overtake voice in 2018 and tone of voice becomes absent from interactions, the customer care industry will need to find new ways to gauge and measure emotion and sentiment. The answer lies in technology. The emoji became accepted and praised as part of the customer care communication mainstream in 2017 and this will expand in 2018—as a means to add lightheartedness or a personal touch and show humor and happiness. Another way to measure and gauge emotion is by embedding text analytics in digital channels, such as text or chat. Analytical dashboards can run behind the scenes as agents engage with customers to detect the level of sentiment in conversations. If the analysis detects a high negative sentiment score, the conversation can be flagged for a supervisor to review. Lastly, the same text analytics approach should be applied when using bots. Today, talking to a bot can be more and more akin to connecting with a human. However, there should always be an option for a customer to escalate to a human agent when necessary. 5. Artificial intelligence (AI) revolutionizes the customer service industry. Artificial intelligence (AI) is revolutionizing industries across the globe, including customer service. Thanks to the rise of digital channels and the advancement of AI and machine learning technology, we now have the ability to predict (with a high level of confidence) the right answer to a customer’s inquiry in any digital channel — email, SMS, chat, or social. This advancement in technology will make our agents much more efficient. No more looking up answers, spell checking, tagging or categorizing conversations. The only action agents will have to take is to hit “approve” or “personalize” on the predicted responses. 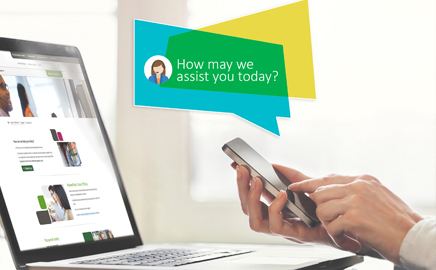 These new customer care solutions will bring together the empathy of agents with the efficiency of bots, for AI-assisted conversations that present the facts of a product or brand while adding the personalization of a human touch. AI technology will even be able to automatically tag and categorize posts, saving agents more time. 6. The customer care industry seeks outside expertise to build and optimize chatbot experiences. As the hottest topic in 2017, customer service professionals had some high expectations chatbots were going to be a game changer. But apparently, chatbots still have a lot to learn. Early in 2017, Facebook announced it was “refocusing” its use of AI after its bots hit a failure rate of 70%, meaning bots could only get to 30% of requests without some sort of human intervention. There are a few reasons most chatbots fail. One, organizations fail to clearly define the bots’ purpose. Two, most organizations launch well before they are ready and fail to do the necessary amount of testing. Lastly, organizations did not have the in-house expertise to optimize and train a machine learning, natural language processing AI model. Chatbots are only as good as the data that feeds them. If chatbots start to learn something inaccurately or are fed false data to start, they will produce false results and humans will need to reset and intervene. 7. Smart Bots&Brains™ strategy is at the heart of CX transformation. In 2018, the winning customer service formula will be a strategic “bots-brains” approach, leaning on intelligent automation to create optimized CX, intelligently integrating people at key moments of truth. Whether front-end bot or bot-assisted agent, tomorrow’s businesses will employ automation where it adds value through reduced customer effort (improving CSAT by guiding customers to the right answer fast), cost-containment, or revenue generation. Bot deployment frees up human labor for higher-minded, more emotional, and complex decision making. According to a recent report by Horses for Sources, automation is making way for strong growth of high- and medium-skilled personnel—with highly skilled positions in the service provider industry increasing by 56%, and medium-skilled by 8%. However, low-skilled, routine jobs drop 30% as many of these roles get phased out over the next five years. 8. More customer care professionals budget for and hire data scientists/analysts and invest in text and speech analytics. Delivering voice of the customer data is undoubtedly both art and science. Customer service teams live in a world of “unstructured” data including phone calls, chat transcripts, social transcripts, text transcripts, etc. Teams need analytics tools and data scientists to help make sense of the data and ultimately learn what customers are saying, requesting, complaining about, praising, and questioning. With the rise in digital conversations, hiring the right data professionals is going to become critical in 2018 if they want to execute their digital strategies flawlessly and remain competitive. 9. Robotic process automation (RPA), transforms both the back office and front office. In the next two years, RPA will be recognized for its front-office potential as well. Automation will provide agents assistance to enhance productivity, by allowing team members to focus on helping customers and less time on navigating systems or post-contact wrap up. Additionally, automation at the desktop, will also improve quality by decreasing errors of manual data entry, reducing rework, and decreasing complaints. Reducing manual tasks allows for a better focus on listening to the customer, empathizing, and providing a frictionless experience. In 2018, we’ll see better collaboration between the front- and back office, for ROI that covers the advantages of both RPA types. 10. Work-at-home solutions grow and provide millennials the flexible jobs they seek. Over the past decade, telecommuting has increased by 115%—that’s almost 3% of the U.S. workforce, as reported by Global Workforce Analytics and FlexJobs. With hiring, staffing, and attrition being some of the biggest obstacles in the customer care industry, this is one trend that will continue to grow in the next couple of years. There are many advantages to having a remote, at-home workforce. For one, many work-at-home teams will have much lower attrition and absenteeism rates. Two, it expands the talent pool significantly making it much easier to hire for seasonal work. Three, the need to overstaff for the “just-in-case” is greatly reduced, thus saving cost. Interested in finding out more about the topics in this blog or HGS? HGS is one of the subject matter experts that will be sharing their insights and expertise at Customer Response Summit Charleston, March 12-14, 2018. CR Summit Charleston will feature speakers from Neiman Marcus, Indeed, Capital One, T-Mobile, and more. For more information about our leading event for CX professionals, visit our event website.